Paul Breedveld studied Mechanical Engineering at TU Delft, where he graduated with honors in 1991. After a PhD on human-machine interfaces for manually controlled space manipulators, which he finished with honors in 1996, he decided to switch to the medical field and started research on steerable surgical instruments. Sponsored by a research grant from the Royal Netherlands Academy of Arts and Sciences (KNAW), he continued the research with developing medical devices inspired by clever solutions in nature. Collaborating with a number of academic hospitals, medical companies and technical and biological research groups, the research within his research group BITE (Bio-Inspired Technology) is currently concentrated in two research lines: one on maneuverable instruments based on biological muscular hydrostats and the other on adhesive surgical devices based on biological adhesion. The research has resulted in a number of patents that are being commercialized by two spin-off companies. 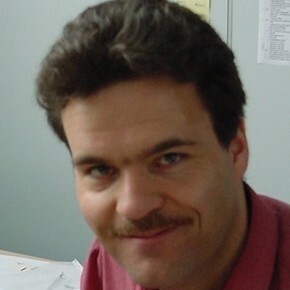 Being a member of the BIOKON International Biomimetics Association, his research was rewarded in 2012 with a prestigious VICI research grant from the Dutch Technology Foundation STW on the development of multi-armed dendritic maneuverable instrumentation for endo-nasal skull base surgery. In 2013 he recieved an “Antoni van Leeuwenhoek” personal professorship at TU Delft and in 2014 he became chairman of the Board of Examiners of the Faculty Mechanical, Maritime & Materials Engineering of TU Delft.